We’re officially past the halfway point – less than 50 days to go! Can you believe it? We’re already more than half way through the second EzineArticles 100 Articles in 100 Days Marathon Challenge (#HAHD). The huge number of authors who have taken the #HAHD pledge is astounding. If you’re not one of them, there’s still time to qualify – but you’ll need to start writing and submitting TODAY! If you’ve already committed to the challenge, we’d like to take this opportunity give you an update and to clarify a few less-than-clear points about the prizes we’re offering. There are still more than sixty First 100 Qualifier slots available! 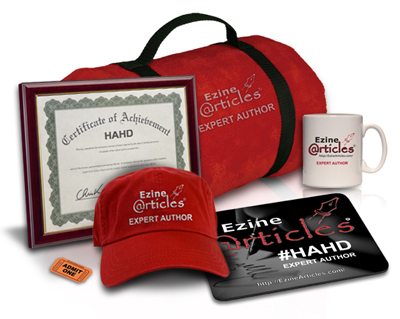 Remember, it’s the first 100 members who submit a minimum of 100 qualifying articles AND send a prize claim email to hahd@ezinearticles.com that will win the fleece throw, the hat and the invitation to a private 4-hour Article Marketing Teleseminar hosted by Chris Knight! There’s still time to qualify! Any articles submitted after 12:00AM CDT, Saturday, August 1st, will automatically count toward your #HAHD total whether you’ve pledged to enter the challenge or not – so you may be closer than you think! Even if you’re starting at zero, there’s still time – many authors have qualified in a lot less time. You need to be one of the first 100 authors to submit at least 100 approved articles AND send a prize claim email to hahd@ezinearticles.com to receive one of the First 100 Qualifiers prize packages. We will issue an announcement via Twitter and the blog when one-hundred First 100 Qualifiers emails have been received and accepted. So for now, if you believe you’ve qualified, simply send the email and we’ll take care of the rest. You’ll receive an email back from EzineArticles acknowledging receipt of your email prize request. All prize qualifications are based on the submission date of approved articles, so any delays in article review will not impact your ability to qualify. All prizes will be shipped upon completion of the entire challenge, regardless of when you qualify. You do not need to make a blog or Twitter pledge to qualify for any prizes. The top 100 members for total number of qualified submissions will also receive a chance to win 1 of 10 FREE 1-year EzineArticles Premium Membership subscriptions valued at $582 each. Want to learn more about the #HAHD challenge? Are YOU ready to take the #HAHD Challenge? If so, put your pledge in writing by leaving a comment below. Then really solidify your commitment by tweeting your intentions, too (don’t forget the #HAHD) – or click [here] to let us write your tweet for you! Your renewed dedication to article marketing begins TODAY. I want to take the challenge, even though I’m starting halfway through! Wow, I just learned of this challenge…I’m a brand new internet writer. I’m going to see what I can do despite the time crunch! Actually, many of us writers do best under time pressure, don’t we?! You’ve definitely got the right attitude! Good luck! I just learned of this challenge today! Will take up the challenge and try to make it. Chris, I hereby pledge to write and submit at least 100 articles before November 8th as part of the 2nd HAHD Marathon Challenge. Bring it on! I want to take the challenge and start submitting today. I also want to take on the challenge – I was informed about the marathon yesterday. This means more effort but I like the idea. I emailed in about one week ago, having finished my 100 articles and have not got a response. Did I turn in my email in time to qualify for the prizes? Just found out about this, but I’m game and I’m bringing it! I must tell you I am really working hard on this, I am almost at my TAHD contest. I just added a zero to make it interesting. I am not sure, if I am there yet, but I think I am very close. I am just new to writing articles and decided to take this challenge as a way of “just diving in” rather than simply dipping my toes in the waters of article writing. I can do this! I am just four articles away from having my hundred articles this time. This is the third HAHD challenge I have been in; the first one was in the spring of 2007 when I challenged myself to write an article every day for 100 days. I did it in 78 days then, and the rest is history. Writing and submitting articles to EzineArticles is the single most important activity I have done that has helped me to build the online business I currently have. Chris, I hereby pledge to write and submit at least 100 articles before November 8th as part of the 2nd HAHD Marathon Challenge. Bring it on! I also intend to be one of the first 100! Watch the blog for notification that all the First 100 slots are filled. Until then, any author who has qualified for #HAHD and then submits a prize request will receive a First 100 prize package. I’ve begun already. I’ll give it my best shot. Here we go! I’m hoping to qualify for the HAHD soon. This is my first challenge and I hope to finish this one and sign up for another in the future. It’s very inspiring. Update: 388 expert authors have reached the 100+ articles each level of submission since August first, but less than 100 have claimed their prizes yet. November 8th 2009 is the deadline. Yipee! Just made it and have a few in the queue so I’ll have a few over!! I was afraid I wasn’t going to make it this time…but there’s something about that mug (plus Achiever is in my top 5 Strengthsfinder themes). I’m ready for the next one, Chris. Let us know when it will be! !